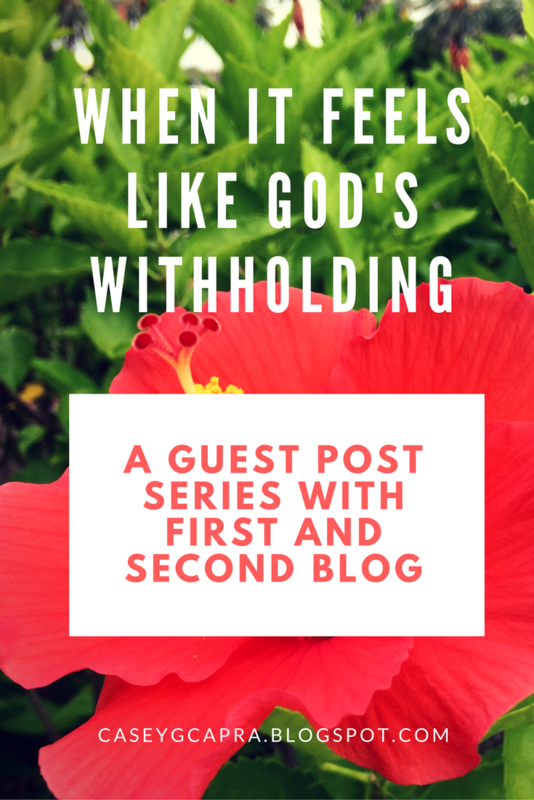 I am partnering with Bethany from First and Second Blog to finish off her series on the lies that the enemy uses to get us distracted and falling into sin. I have really like her series so far, and she has posted a directory of the other blog posts from bloggers who have also contributed their thoughts and experiences! One of the biggest lies that I personally have experienced from the enemy is the lie that God is withholding good things from me. I think it's somewhere all of us have been. Whatever the situation, we have all had those moments when we just want to scream, "Hello? I thought You were a good God that had good things to give me!" Have you noticed that God doesn't give us everything we want? That sometimes He asks us to wait, or says "no"? There's always a temptation to see God as a gum-ball machine that will give us the candy we want when we put in a few prayers and cross our fingers. And then it continues, when we feel confused/elated that God did/didn't answer their prayers like we wanted (like the kid that is frustrated/excited by the gum-ball he gets when he puts in a quarter). Instantly, the enemy is at hand to whisper subtly "He doesn't actually want to give you what you want." Even worse, sometimes that whisper speaks, "He's withholding good things from you; how dare he?" "He said to the woman, 'Did God actually say, 'You shall not eat of any tree in the garden'? But the serpent said to the woman, 'You will not surely die. First the serpent tempts her to doubt what God actually said, but then he says "God knows that the fruit is actually good; He's just keeping it from you." That is when Eve considers the fruit, and ultimately takes it and eats it and gives it to her husband. "God is keeping a boyfriend/girlfriend/spouse from you." "God didn't give you that job." "God will never give you children." "Is He really a good God who loves His children if He is withholding so many good things from you?" Don't have a boyfriend yet? Were you already planning on being married? Well, looks like God had different plans. But "different" does not mean "bad"! In fact, God's plan are always always always way better than ours! I love being around people who have had so much taken away from them, and yet they're still joyful. It's so humbling to me! Because I get bent out of shape when Starbucks messes up on my latte... instead of being thankful that I have money to buy such a luxury, and a car to take me there on the way to wherever I'm going. When I am thankful, I am seeing how many fruits God has given to me, and the one that He has said "no" to doesn't even matter so much. ...if she was standing next to Jesus, being reminded of how much He loved her? ...if she remembered that God always has her best interest, even when His plans look weird? ...if she had taken a minute to realize how much God had given her, instead of focusing on what He hadn't? 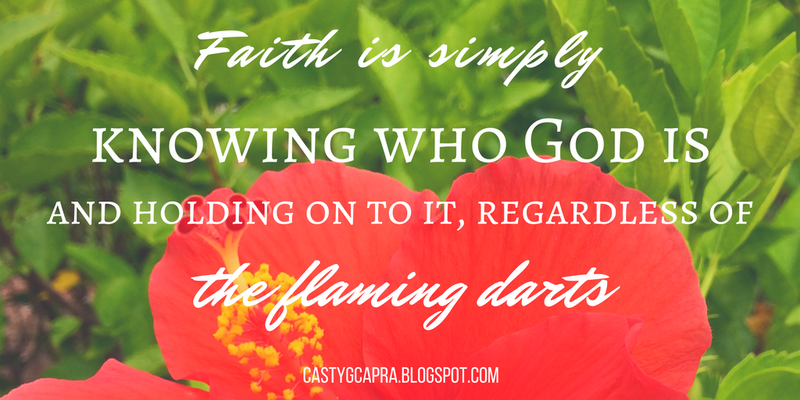 And what is faith? what is this shield? Simply knowing who our God is, and holding up that knowledge, that belief, no matter how many flaming darts are firing in your direction. Sometimes it will feel like you are gripping this shield, hiding behind it as you huddle underneath of it, but guess what? It's a shield that never fails. So, stand strong, my sweet readers. Remember that, in everything, God has your best interest. He is a good Father, one who loves His children and wants to give them the best, but is also interested in building our shield of faith to such a broad diameter that we can go charging into battle without the slightest bit of fear. And remember that, even when it feels like God is withholding good things from you, the enemy never has a better version. It may be cheaper, easier, and more available, but it is never, ever better. He does has our best interest at heart so we should trust Him to know what is right and best for our lives! Yes! I am there right now and have been for the past couple months. I graduated college in May and have yet to find a job. It has been so hard on my heart. I think the biggest problem was I had constructed a perfect plan on how life would go post college and this is God telling me to let go and let him lead. Thank you for posting. I am thankful that God has kept a few things from me. Not that it was easy at the time I was going through it though. Now I can see a few "no's" in my life turned out best for me. He is always taking care of us and I am so glad He is. Your neighbor at Thankful Thursdays. 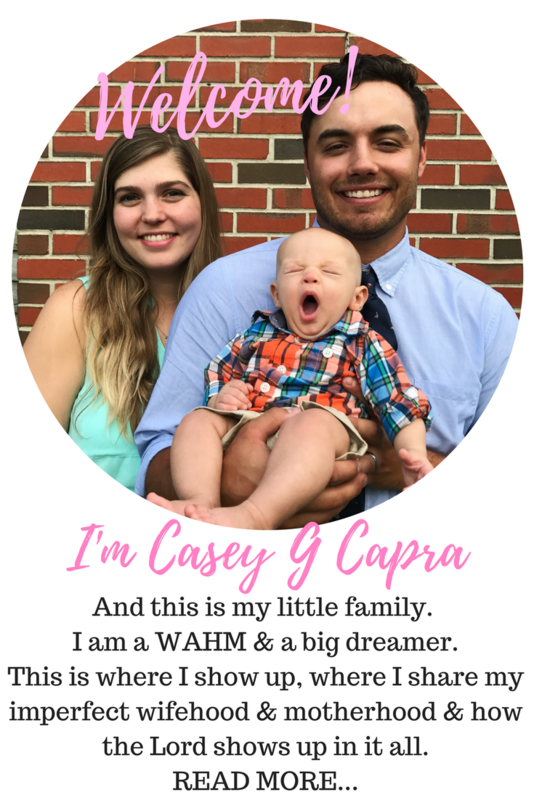 Casey- Came back by to share again and let you know how much I appreciate you and this post! So much truth packed in to soak up personally and shape my perspective on the temptation of sin. Thank you! Casey, there is so much wisdom in this. I have a few prayers in my past I'm glad God didn't answer, although at those times I wasn't happy. But I am now. Thanks for sharing with Thankful Thursdays. I know when I have fallen for lies like "God doesn't want to heal you", those were the times when I really didn't know who He is. I doubted His goodness and love for me. Thanks for sharing on Grace and Truth. Beautifully said and just what I needed to read. I have had my own doubts tonight about God's provision in some areas in my life but I know I have also not been spending a lot of time in His word or praying and believing in faith. I will look up those scriptures, thanks for providing them.